BentoLunch.net - What's for lunch at our house: Lots of New Goodies! While Faith was at her Brownie meeting tonight, I decided to pop over to Minoya in Plano to pick her up a few goodies/snacks for her campout this weekend. They are going to Houston to camp at Nasa! I had to get them! 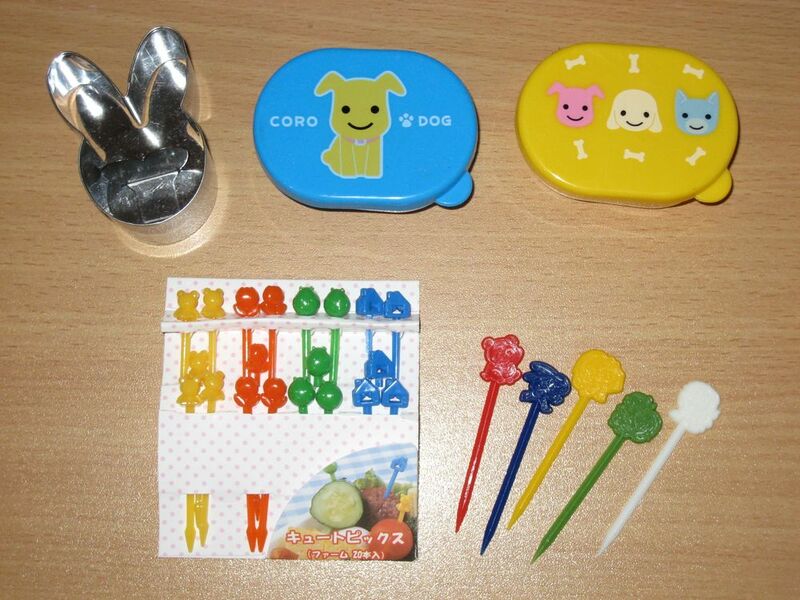 I now have a stainless steel bunny rice mold (that I'll probably use for non rice foods), two cute little puppy dog side containers (we use these for yogurt or dips), and two new sets of picks. The ones on the board are a pack of 20 (yellow bears, orange flowers, green ladybugs and blue houses), the loose ones are actually a pack of 25, 5 of each color, with assorted animal tops (bears, bunnies, elephants, squirrels, and lions). So cute! And this? 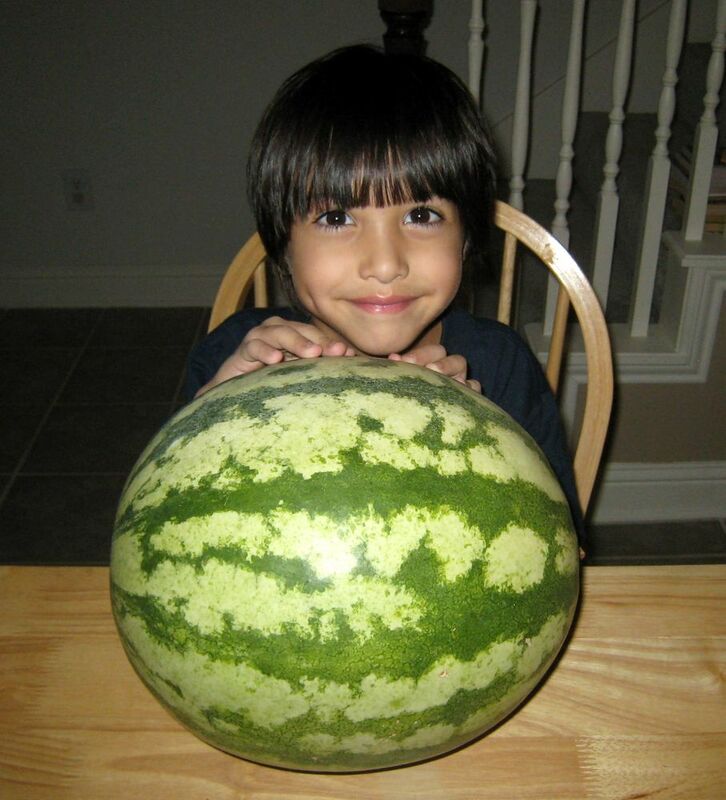 I picked it from my garden today (the watermelon, not the boy). I have one more just like it, then discovered that the garden I thought was dying seems to be having another growth cycle! We have two more baby watermelons, 4 green peppers, a ton of habanero baby peppers, and a lot of flowers on our tomato plants. I'm so excited, I thought it was all dead by this point, with the 100 degree temps & all. 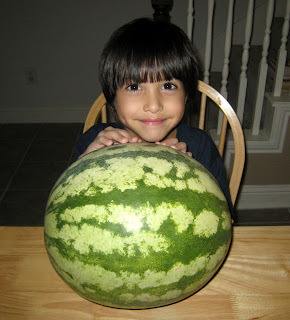 I'm thinking tomorrow's bento needs watermelon chunks with cute new picks somewhere in it! Great day for you, it looks like! Yay! Okay, I know where I'm going tomorrow. I need to find some of those picks- I think my kids would love them! Do you know if there is a Minoya in the Austin area? 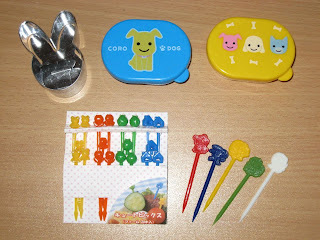 I have been looking for bento anything and am having a really hard time. @Jam, love it! It's such a fun little store. @Gen-Y-Mama, I am not sure about one in Austin. It's not a big store or a chain here, it's just a little one tucked into a strip mall. A friend of mine moved to Austin about a year ago, I'll ask her if she knows of a place. Toy Joy in Austin has bento boxes.